KZE Labor Day Dollar$aver Half-Price Sale! The end of summer means it’s time for the KZE Labor Day DollarSaver Half-Price Sale! You work hard to earn your money and we want to help you keep more of it, while continuing to enjoy the local restaurants, retail locations and services you love. Every certificate in the KZE DollarSaver will be half-price starting Friday, August 31st and continuing all weekend, through Monday September 3rd. Enjoy 50% off the next time you go out to eat, need to buy a gift, or treat yourself to health and wellness services! It’s simple, your half-price savings certificate prints straight from your printer. 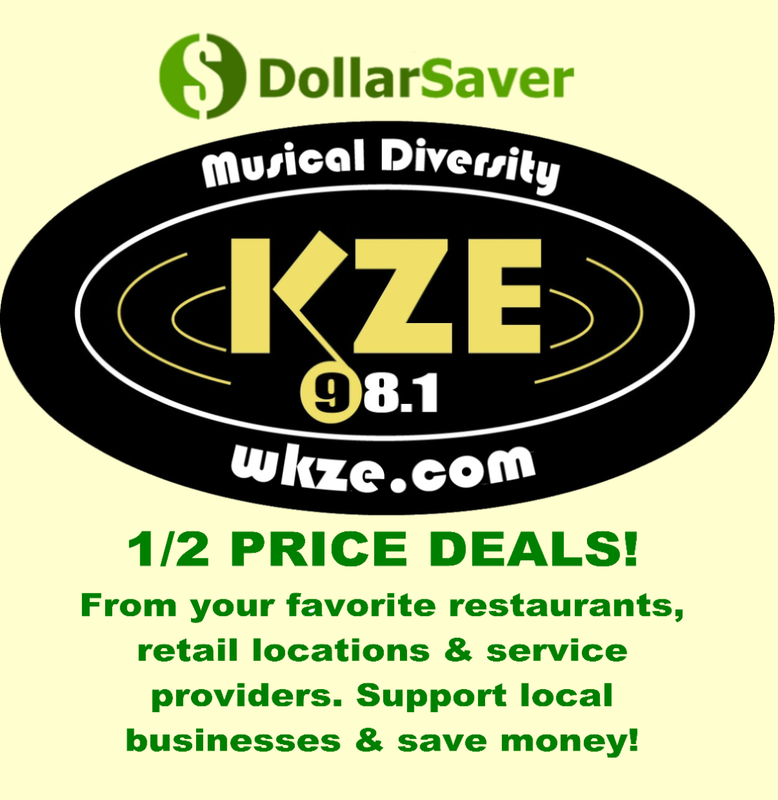 A dollar saved is a dollar earned with the KZE Labor Day DollarSaver Half-Price Sale! Click on this Dollar$aver link to start saving! 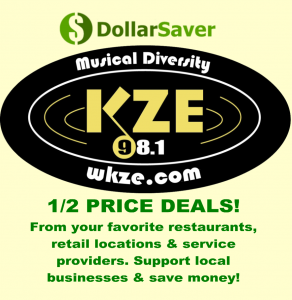 A great way to save money, support local independent businesses and musical diversity at 98.1 KZE! Welcome Willa! KZE’s newest staff member! WKZE Holiday Party 2018 – Thank you! Staff Favorite Albums of 2018!